McGinley; Matthews (Douglas, 85), Boyle, O'Connor, Langtry (Walsh, 46); Clarke (Benson, 85), Kavanagh, Creevy, Burke, Russell; McMillan. Clarke; O'Brien, Browne, Carroll, Bermingham; Russell, Bolger, Brennan; Byrne (Keegan, 75), Flood (Fagan, 75), Forrester. 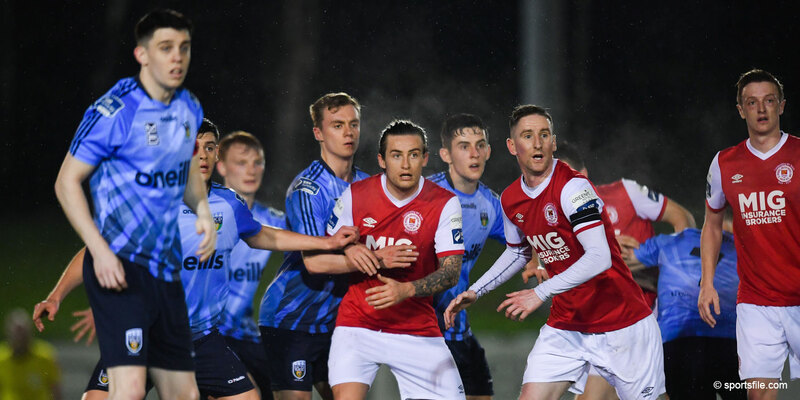 Liam Buckley's St Patrick's Athletic claimed an important 1-0 away win at the UCD Bowl. UCD midfielder James Kavanagh was dismissed for a second bookable offence in the 43rd minute for a foul on John Russell and the Saints took command. 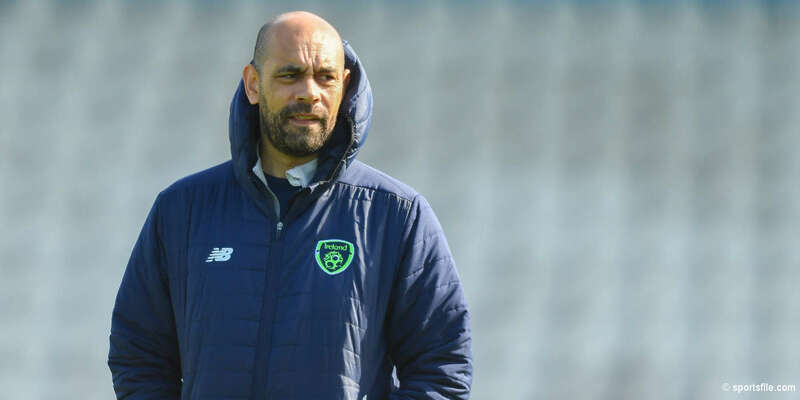 Anto Flood netted in first-half stoppage-time, and from then on, UCD struggled against the visitors who should have added to their tally after the restart. Russell and Jake Carroll were denied by smart Mark McGinley saves, while Killian Brennan hit the woodwork, but St Pat's held on. 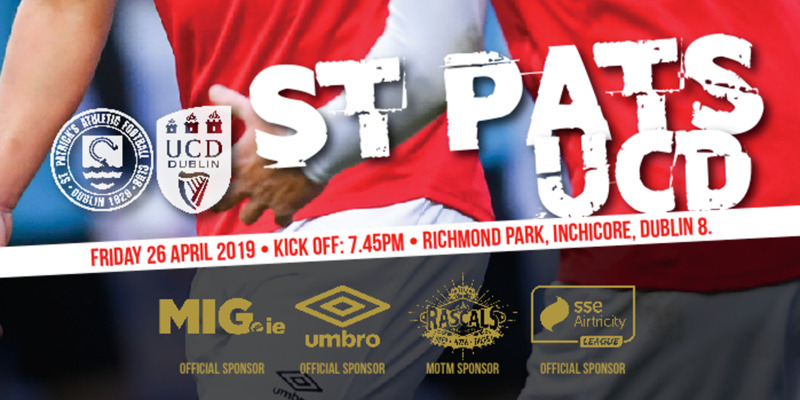 Erratic since the start of the campaign St Pat's were intent on summoning a positive performance in this Dublin derby. UCD's wretched form meant the Students had to be switched on at the campus venue for a crucial contest. Again, the Belfield surface scarcely aided two teams who continue to show a real willingness to pass and probe. That was evident initially even if the first opportunity arrived courtesy of a sharp UCD setpiece in the second minute. Sean Russell's deep free-kick found David O'Connor at the back stick, but the UCD skipper headed wide from an acute angle. Then in the 13th minute Russell released David McMillan, who was unable to curl a right footed effort on target. Eager to impress, UCD were bright and busy causing the visitors some bother with their thoughtful approach. Eventually the Saints started to cause UCD some bother and Buckley's side should have hit the front in the 36th minute. Brennan's free-kick was inviting, but Kenny Browne headed over from close range as the Students' survived the scare. UCD were rocked two minutes before the break when James Kavanagh was sent off for a second yellow card following a foul on John Russell. The Saints briskly seized the initiative as in first-half stoppage-time Conan Byrne's right wing cross was expertly drilled home by Anto Flood. After the restart, Pat's were in firm control Russell forced a fine 47th minute save from Mark McGinley. In the 51st minute, Byrne passed to Killian Brennan, who shaved the woodwork as the visitors sought to land another blow. Carroll subsequently had a distance shot palmed over by McGinley, but Pat's stayed safe and solid in the closing stages.